Let me be the first to welcome you to Winterwolf. I am your humble mayor Indrik Mairu. Regardless of your background or where you came from. Whether you're from a noble family or come from humble beginnings, Winterwolf was founded on the premise of helping its citizens flourish. There will be jobs a plenty, housing for those willing to put in the work, and opportunities for those with motivations to move up in fame and fortune. Go ahead a look around at all we have to offer, but do not hesitate to let me know if you have any questions. If there can be said to be a specialty in the settlement it would be on the taming, training, and breeding of animals. Take a look below to see some of the animals that we are currently focused on. Essentially we will be breeding and training pets and mounts of all sizes. Secondarily, we focus on the production of food, spirits, and mead for the surrounding community. Siren’s Shore, our county, is filled with explorers, pirates, sailors, and fishermen alike. Between me and you, there can never be enough spirits to fill their appetites. Ultimately, it doesn’t matter what specialty you have, or want to develop, opportunities are abound in Winterwolf. If we don’t have the current plans for what you're thinking, just let me know and I’ll see if we can’t develop them. Oh, that reminds me, check out the ongoing Shark Tank recruitment effort to see how you can apply to possibly have that special initiative of yours fully funded, so you can jump right in and start making that dream of yours come true. Are you new to Chronicles of Elyria and don't know where to turn next? Well Winterwolf was originally established as a version of a starter town. While the focus of the settlement is primarily on the training and raising of animals, we also take pride in welcoming new players, and helping get them on their feet. This means there will be plenty of jobs available, reasonable gear and housing, and people around to assist you in honing your vision. If you want to learn more about some of the specific needs of the settlement, take a look at the section below. However, if your plans don't include any of those roles mentioned below, there's still plenty of opportunities in Winterwolf (see Shark Tank later in the post). If you find yourself interested in learning more, please send me a PM on the forums, or join the county Discord and let me know that you're interested. If you are interested in becoming a farmer, but don't know how you'll get started with acquiring land, work animals, or tools? Well look no further because Winterwolf is in desperate need of farmers, and if you decide to join our settlement you will be provided with all you need to get started. Options for work to own also available. If interested please PM me, or join our County Discord and let me know if you are interested in learning more. Are you interested in learning to breed or train animals? 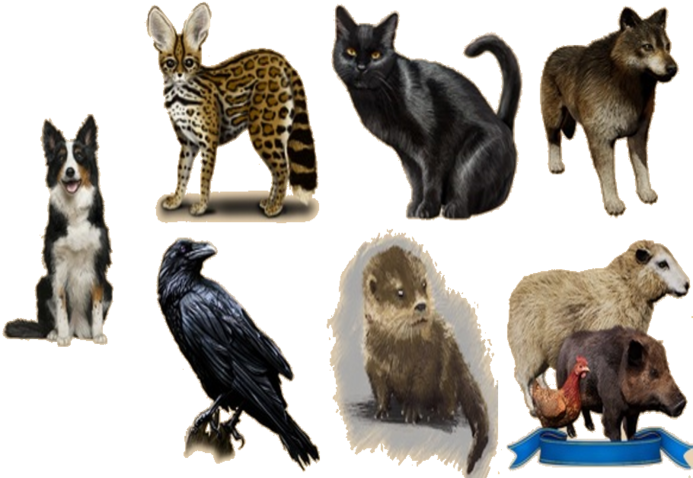 Whether it's pets or mounts (small, medium, and large), Winterwolf will specialize in breeding and training the highest quality animals. If you are interested in this trade, there will be training and plenty of jobs available for you in Winterwolf. Those joining the settlement with the intention of becoming animal trainers and breeders will be provided with free or reduced cost housing if they are willing to work for the local Breeding Grounds. If interested please PM me, or join our County Discord and let me know if you are interested in learning more. Winterwolf and the nearby Breeding Grounds animal center will be surrounded by large walls, and filled with many, many buildings. Therefore, there is a high need for individuals who want to assist in designing and building, as well as maintaining those walls and buildings. For individuals interested in any of these areas, opportunities will be provided for training, housing, and tools. Interested in being a cook, brewer, or tavern owner in Elyria? Well look no further. With Winterwolf focusing on becoming one of the premier animal breeders and trainers in Elyria, secondary professions will be in high demand. For Cooks there will be no shortage of high quality livestock. Cooking components (i.e. meat, eggs, etc...) will be bountiful in the settlement, providing a unique opportunity to perfect your craft. Brewers will also find plenty of options in Winterwolf, with the agricultural focus of the settlement and surrounding area. We have Cardinal Bees to assist in the growth of brewing components, including the always desired honey they produce. Finally, Tavern Owners will be a valued part of the Winterwolf community. With the availability of high quality mead (due to the availability of Cardinal Bees) and spirits, there is a prime opportunity to make a name for you and your tavern in Winterwolf. Even if you currently don't have the resources to get your idea for a tavern off the ground, work-to-own opportunities are available. Winterwolf is always looking for additional guards to help secure the settlement and surrounding area. With the focal point of the settlement being on animal training and breeding, you will never find yourself without a guard animal, pet, or mount if you decide to take on the charge of keeping the community safe. If any of these opportunities interest you, please PM me or join our County Discord and let me know if you are interested in learning more. Are you Bloodline+ and going to take part in Exposition? Do you want to settle in Winterwolf, and have a great idea for a business venture that would benefit the settlement or county? If you answered yes to both of those questions please PM me on the forums or join the County Discord and let me know that you have a plan for the settlement. Depending upon the need and innovation of your plan you may be awarded EP to get your plan implemented as soon as Exposition launches. Not much of note has happened in Winterwolf during recent memory, but many find the lore of settlement interesting. I’m not sure I believe all that has been passed down by my forefathers, but it is the best record we have about the founding of the settlement. 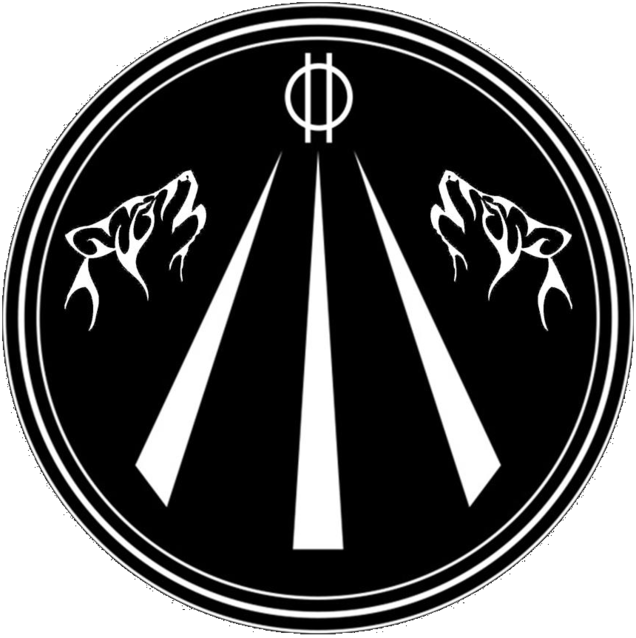 According to family records, Winterwolf was founded many, many years ago by my forefather Eadric Mairu, and his closest friend Irom Maideak. As the story goes, Eadric and Irom grew up in small farming village not far from here. When they reached the age of mann-hood they left the village in seek of adventures and riches. Somehow they found their way traveling further and further north, until they crossed the great mountains into the land of the Brudvir. Not many records have survived from that time describing their time spent in the Brudvir lands, but family legend holds that during their time in this foreign land they learned the ways of taming and training the mighty wolves that populate the northern climates. That tidbit is surprising to anyone familiar with the Brudvir, as they are a cautious people not willing to share their ways with others. However, according to the legend, my forefather and his traveling companion were able to trade their knowledge of farming, for the knowledge of how to bend the will of animals to their own. Honestly, even if I don't believe these legends, it is rather an oddity that this skill with animals emerged in two farm boys, who before their travels had difficulty even getting the dogs to mind. Regardless, it cannot be denied that we have some of the very best trainers and animals in the kingdom, even though many doubt the veracity of these legends. In the end, Eadric and Irom made their way back from foreign lands, each bringing a pack of wolves with them. They decided to settle upon this very land, and as the nearby villages had never seen beasts trained so well, the two found that commoner and noble alike handsomely rewarded their skills. It didn’t take long for Winterwolf to be born. Since that time, each generation of Mairu and Maideak has sought to expand upon the accomplishments of the previous generation, bringing in new animals to breed and train. I am pleased to have you in Siren's Shore! Our awesome community has become even more awesome! Added current settlement needs and opportunities.